Psalm 33:10 …”but the Lord’s unfailing love surrounds those who trust in Him!” A dear friend gave us the visual of His unfailing love surrounding us. There is a God in heaven who is crazy about you. 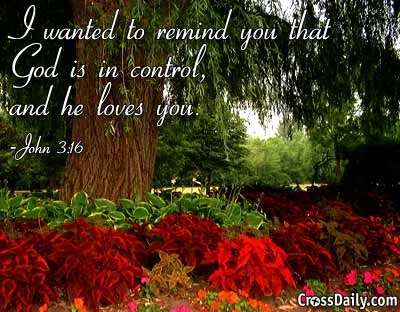 He cares deeply about your relationship with Him – for you to know His love. He cares deeply about your relationship with others. He cares deeply about your finances. He cares deeply about your health. He cares deeply about your work. Last Sunday was on God’s love for us. It seems they are always a week behind as they prepare the video for the website, so be patient and check back. The others: relationships, finances, health, and work will be coming if you would like to visit. (not trying to encourage switching membership – just a visit to the website, or church if you are interested in the topic). If you go to the website under media, I noticed the sermon for strongholds is up. WOW! That was a powerful sermon, and I know some of our readers have been struggling with strongholds. You will want to watch this one! Previous FEELING FEARFUL! READY FOR COURAGE!